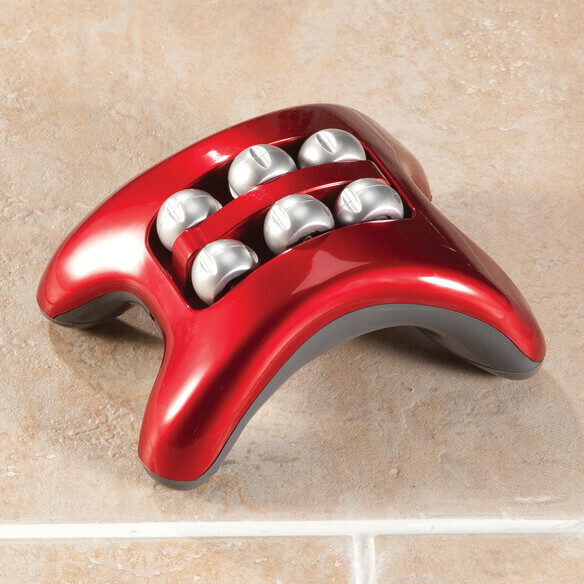 Relax and renew aching feet with this vibrating foot massager at home or on the go. 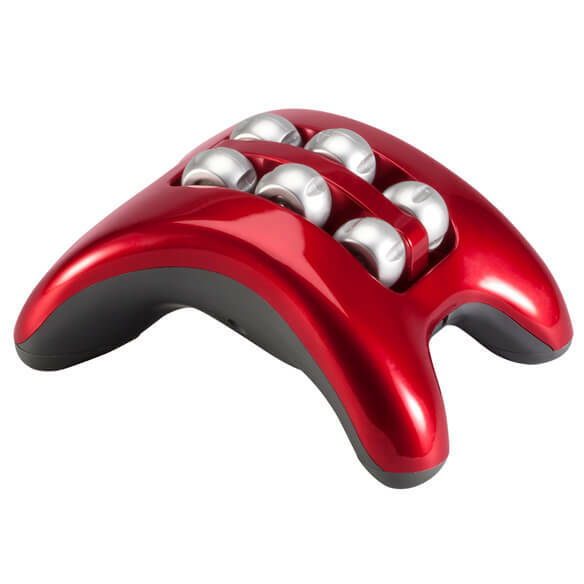 As you glide your feet across its 6 massaging rollers, it stimulates pressure points on your soles to soothe fatigue and help promote circulation in feet and legs. Simply press down for soothing vibrations that ease tension and energize. Bold red design is a beautiful addition to your self-care routine. Massage machine requires 2 AA batteries (not included). I have purchased 2 of these foot massagers, so far.. Disappointed with this massager. It is not comfortable to use and makes too much noise. With a history of PF, I wanted an inexpensive foot roller to keep things flexible. This fit the bill. To facilitate exercising foot after surgery. We do a lot of walking, and other devices we have used to ease fatigue/pain in the plantar fascia area are just too large to keep lying around. 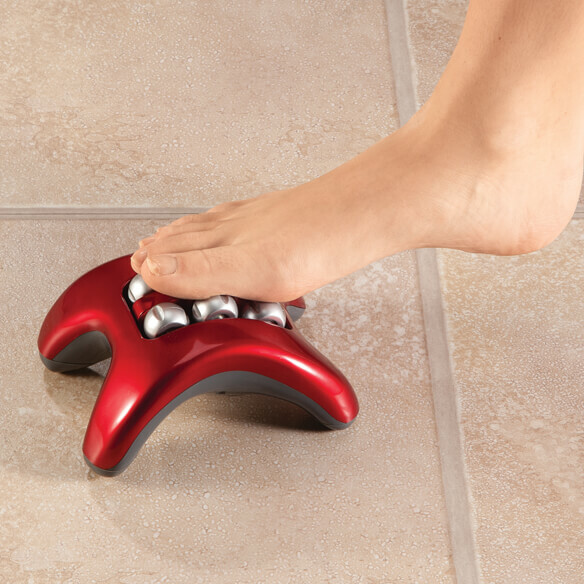 This Foot Massager looks to be just right for easy access when you need it. Hopefully this will help to relieve some of the cramps in my feet and lower legs. My mother had one and I loved using it when I went there.